Being thoughtful toward animals nurtures your child’s compassion. Imagination (along with paint, tape, and felt) turns an empty coffee can into a fancy treats container. If you don’t have a dog, fill the canister with any type of pet food. Then, cast a wider net of caring: donate the canister to your local animal shelter or veterinarian’s office. Paint a metal canister. (Use several coats if necessary.) Let it dry. 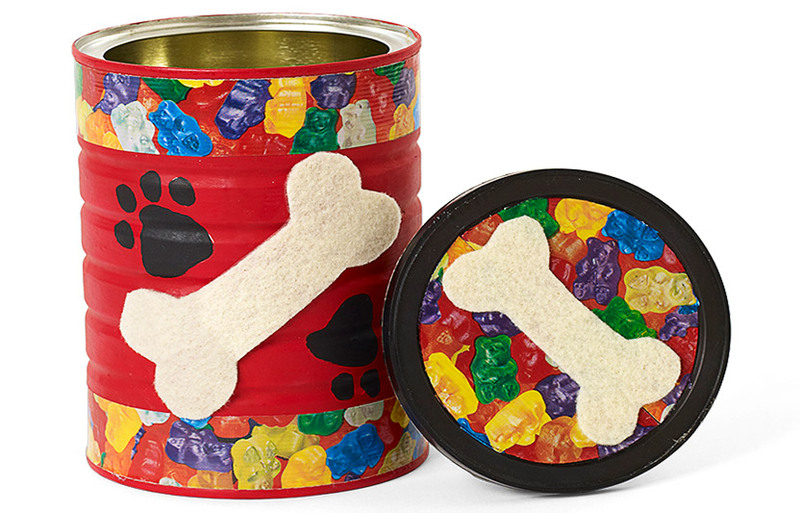 Decorate the canister and lid with duct tape, felt bones, and painted paw prints. For younger kids: It takes time to paint the can and let it dry. For little ones with little patience, wrap the can with a piece of construction paper instead, and let them decorate with crayons or chalk.